Beautiful color, easy to dress up or down. Could have been made with a material with more elasticity, but overall it is a perfect staple to have in my wardrobe. I’m 5’2”, so the length of this really worried me, but I was pleasantly surprised! Fit right above the ankle and looks sooo chic! Need these in more colors! The waistband is roomy but cinches in enough to define your waist, and the material is super flows and drapes elegantly. Wore this with a cozy cardigan, straps platform sandals, and dainty earrings to dinner. It was perfect! My only comment is to make sure you adjust the straps to your liking. I’m extremely petite so I had to shorten the straps by a decent amount. i love this jumpsuit. I bought it in the Camille pink color. I really like the top portion. It is very flattering and not too low cut. 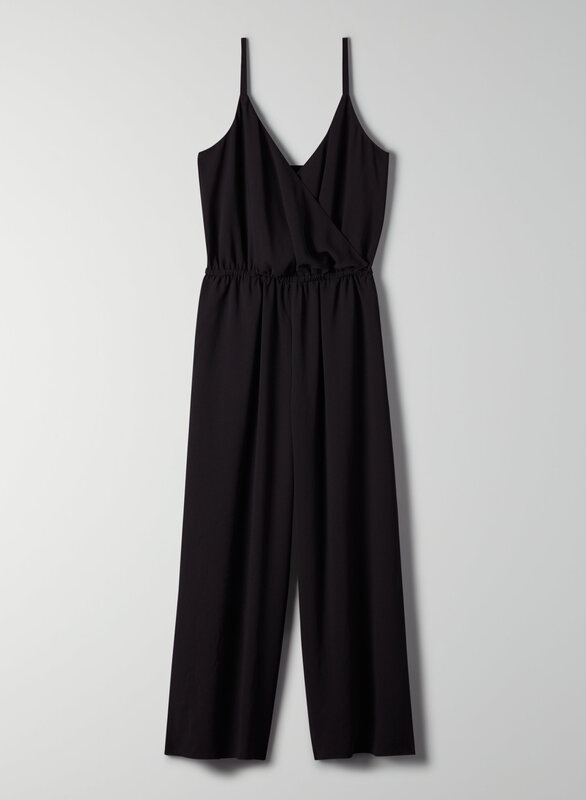 I sometimes have trouble with jumpsuits being too short in the torso but not with this one. It is perfect and I love the length of the pant being slightly cropped. So easy to wear and can dress up or down. I love the feel and drape of the fabric. It has great structure but also is very light and fluid. My only con is that I found the pant hem a bit too long and as a result didn’t look as clean and fitted as I would have expected. I’m 5’4, 125lbs, and usually a size XS.